We interviewed Tim Wood, owner of Bounce Magic of Hamburg, New York, about how he uses BEAM gaming projector to enhance his indoor play and party facility and entertain younger kids. BEAM: Can you tell a bit about Bounce Magic? Tim: Bounce Magic, our facility, is about 20,000 square feet, which includes mini golf, arcade games and our primary focus: 10 bounce houses of different sizes and shapes, from obstacle courses to interactive slides. All of them are indoors under great lighting, high ceilings and an open environment. 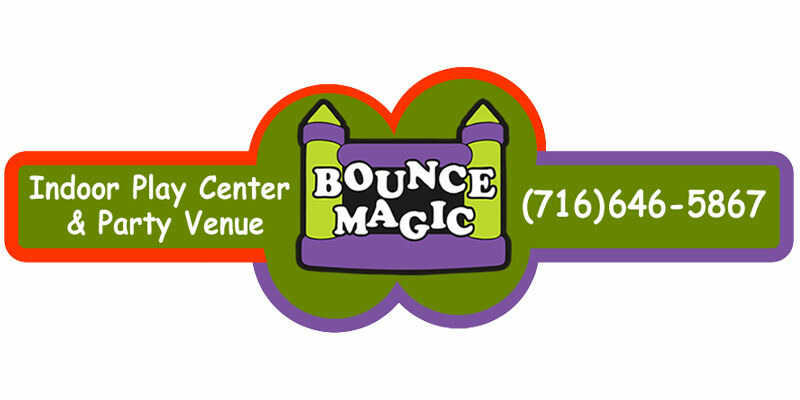 At Bounce Magic, we also have a restaurant, so lots of things for kids and adults to do. We’ve been around since 2002. BEAM: When did you get the BEAM? Tim: Last fall, in November. We saw it at the IAAPA show-one of the world’s largest amusement park trade shows. BEAM: What were you looking to achieve when you bought it? Tim: Well, Bounce Magic has customers in the twelve-and-under age range. So we were looking for stuff that was gonna work well with young kids. In all the years that we’ve been working on building our entertainment facility, we noticed that the inflatables are a great attraction for the kids, but there’s always the need to have a little bit more, to find other ways to entertain the kids and give them another reason to come and play. The only way to do that is to find innovative ideas. We’d been looking for products like this for many years, but they were just out of our price range. When BEAM came along with the lease option that was at a reasonable price point, we were very intrigued and decided to do a one year test run to see how the clientele interacts with it and whether it draws customers or not. BEAM: So how has it been working out for you? Tim: Actually, it’s been working out phenomenally. We find it to be a great asset to Bounce Magic. As far our inflatables our concerned, it adds a perfect complement to our indoor activities. The kids get bored of playing on a bounce house, well, they have an interactive floor to play with. And when they get bored of a game, they have an arcade to play with. And then they come back because there’s a new game on the floor that they didn’t see before, so they come back and play some more. We’re thinking about getting a second one in the fall. It is a great product, the kids love it and the system has been running flawlessly now for five or six months. We’re very thrilled with the way it works. The speaker system, the installation, the way it hangs-that’s all beautiful. BEAM: What kind of feedback are you hearing from the customers? Tim: Customers love it. Adults, kids, you see them playing on it continuously. The inflatables are sitting there and they’re playing on BEAM. They love it. BEAM gaming projector is a great interactive entertainment system, the change of games is good. The company has been fantastic to work with when I had questions or requests. The system itself is very easy to operate and work with without having to read manuals. It’s just a really good product all around.